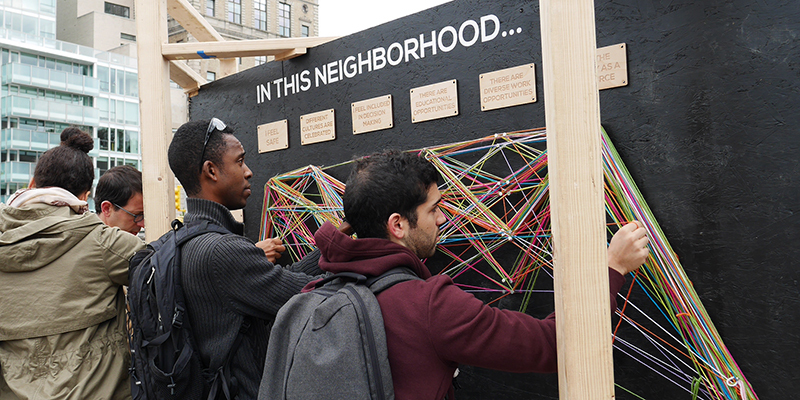 In October 2015, TYTHEdesign and 3×3 Design partnered with the Brooklyn Public Library to bring the Community Census Installation to the Central Library at Grand Army Plaza, Brooklyn. 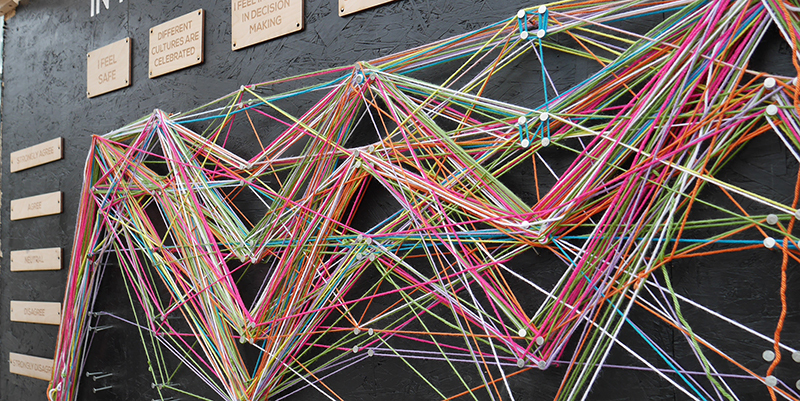 The installation was launched in front of the Central Library to capture participants walking in and out of the library, and people walking to Prospect Park and the Farmers Market. It was a chilly autumn day, but our team talked with 175 participants from various neighborhoods in Brooklyn and across New York City. 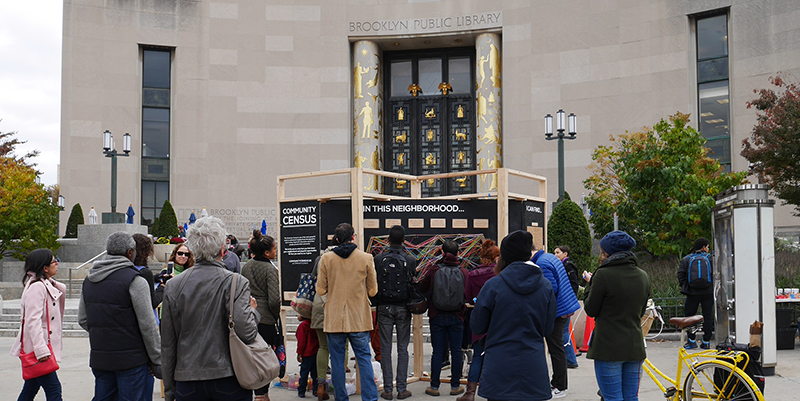 The installation allowed BPL staff to wrap up the three part tour of Brooklyn by sharing all the resources that the Central library offers New Yorkers. 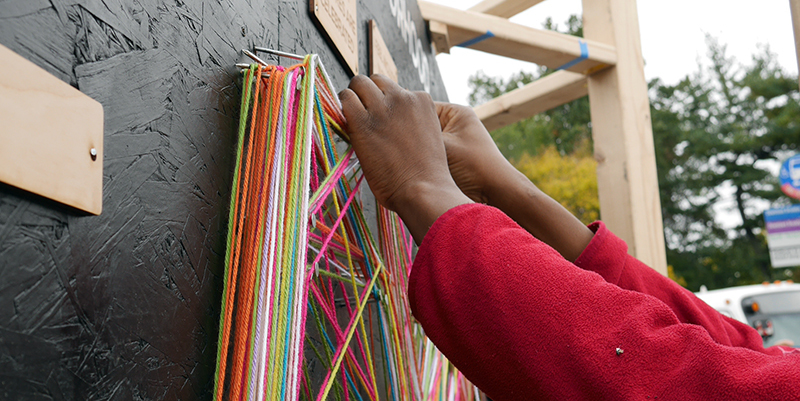 Staff members are now considering ways to transform their local programming and outreach to address community members needs.